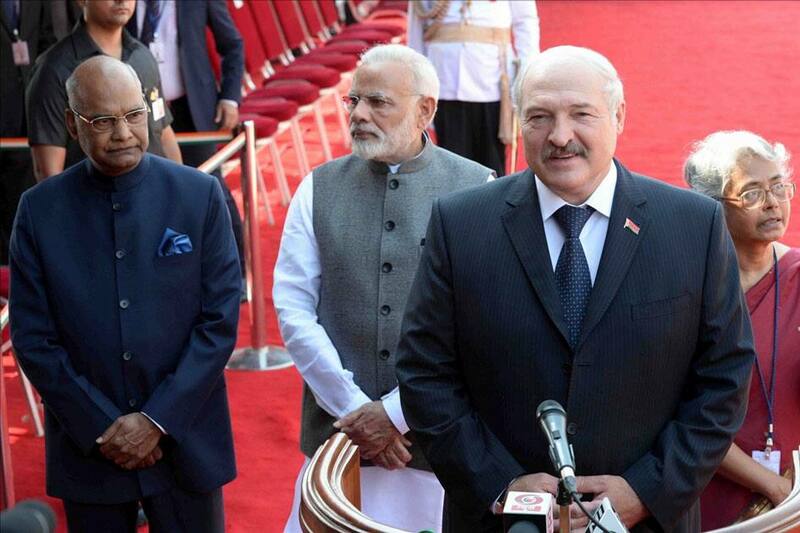 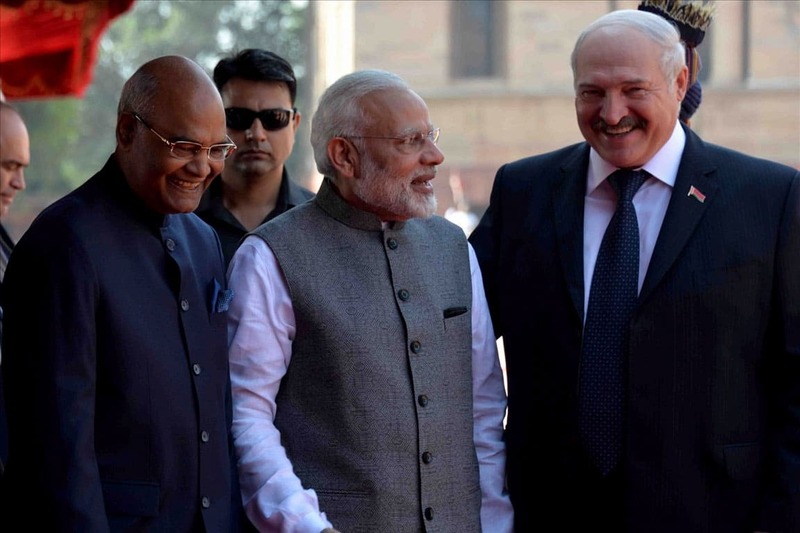 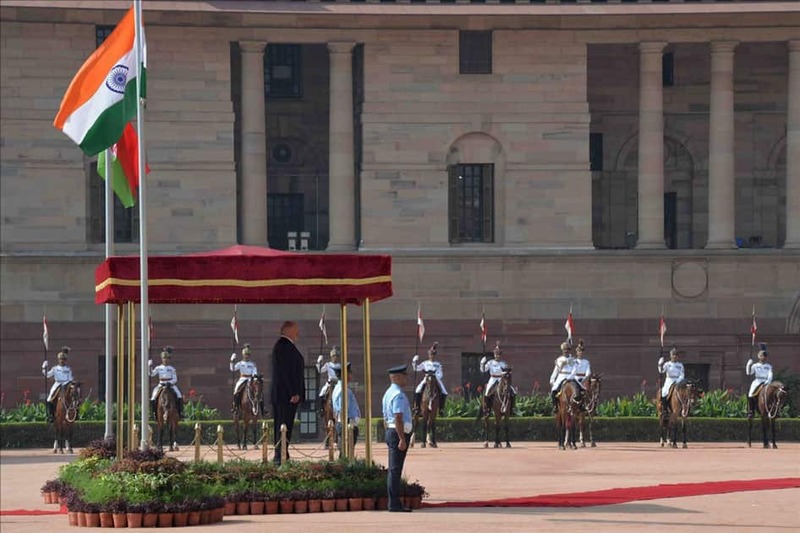 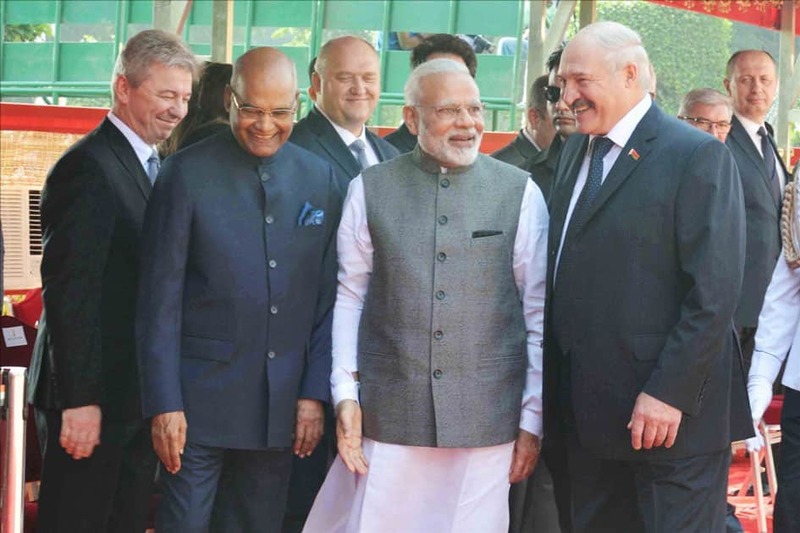 President Ram Nath Kovind and Prime Minister Narendra Modi receives Alexander Lukashenko, President of the Republic of Belarus during his ceremonial reception at Rashtrapati Bhavan. 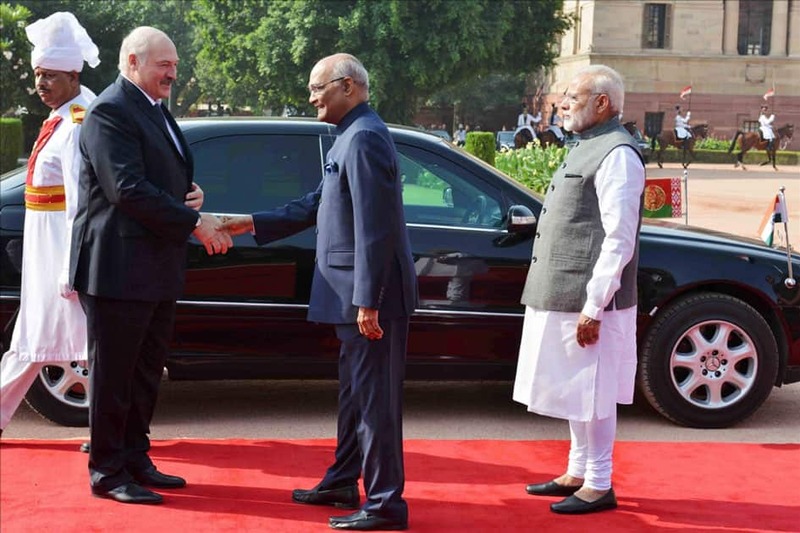 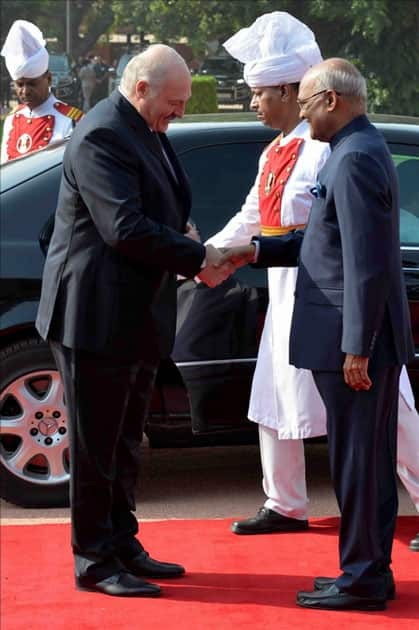 President Ram Nath Kovind receives Alexander Lukashenko, President of the Republic of Belarus during his ceremonial reception at Rashtrapati Bhavan. 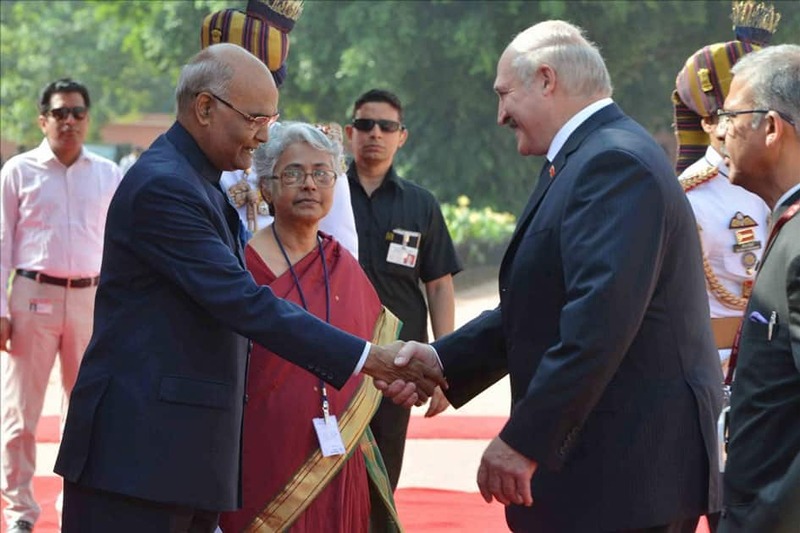 Alexander Lukashenko, President of the Republic of Belarus addressing the media during his ceremonial reception at Rashtrapati Bhavan. 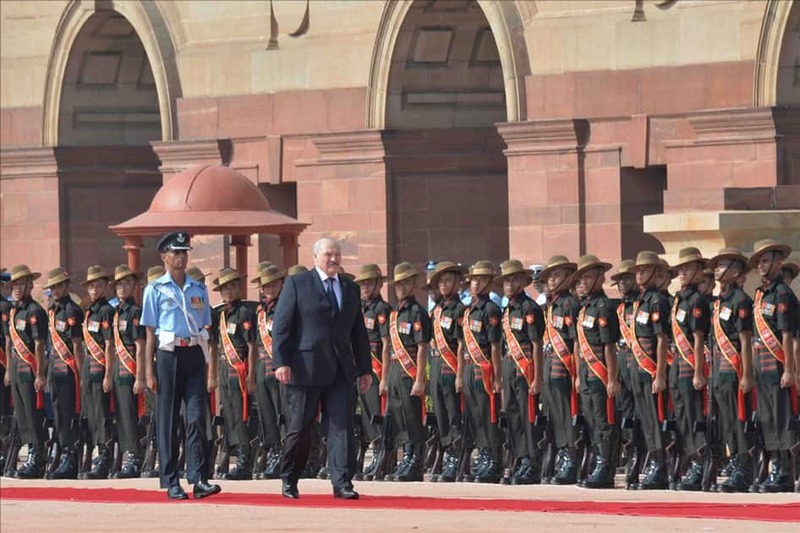 Alexander Lukashenko, President of the Republic of Belarus inspecting the Guard of Honour during his ceremonial reception at Rashtrapati Bhavan.